As Kīlauea volcano continues to erupt on Hawai'i, incredible footage shows lava flowing down the streets and jets spouting into the air, as the island's ground is literally splitting open to reveal its insides. So far, 31 homes have been destroyed as the advancing wall of molten rock pours from the ground and new fissures open. Over 1,700 people have been forced to evacuate, with no one quite knowing when it will be safe for them to return. 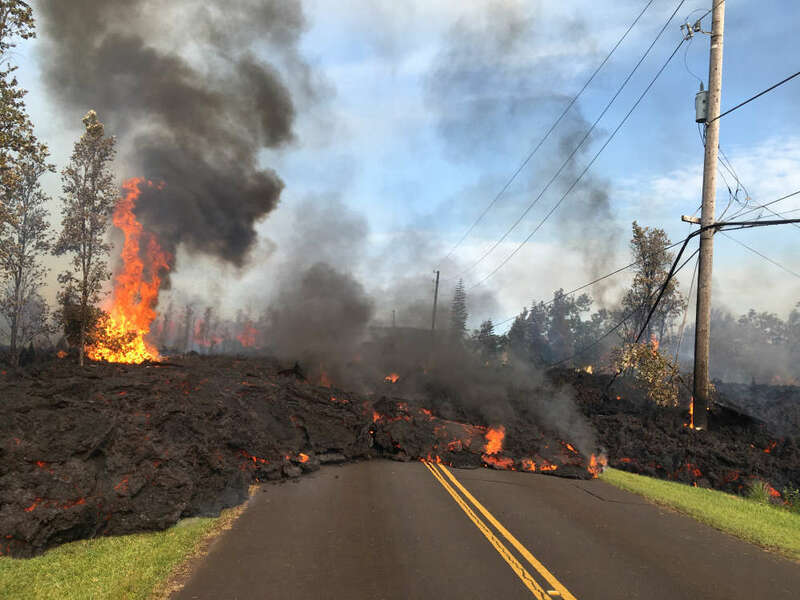 Incredible videos and images are showing molten rock squirting hundreds of feet into the air, as huge walls of lava creep along the roads in the Pahoa and Leilani Estate area of Big Island. Geologists are warning people in the southern region to take extraordinary care. As they cannot predict where the volcano will spew up lava next, the fissures could effectively occur anywhere within the area. The United States Geological Survey even has a bunch of webcams on the summit of Kīlauea that you can check out here. Kīlauea is the most active of the five volcanoes that make up the island, and has only been above the waves for a brief 100,000 years. The latest bout of eruptions started on the May 3, when three small vents opened up and spewed their molten innards. Within two days, other rifts had begun to crack open as sulfuric gas leaked out, in addition to the burbling magma emerging from the depths of the earth. The movement of magma beneath the ground is also causing hundreds of small earthquakes to ripple through the area, bringing another layer of threat to residents. On Friday, the island experienced the largest quake to hit Hawai'i in over 40 years, as a magnitude 6.9 quake struck at a depth of 5 kilometers (3.1 miles). Experts are warning that aftershocks are expected to rumble on, and more quakes should be anticipated. 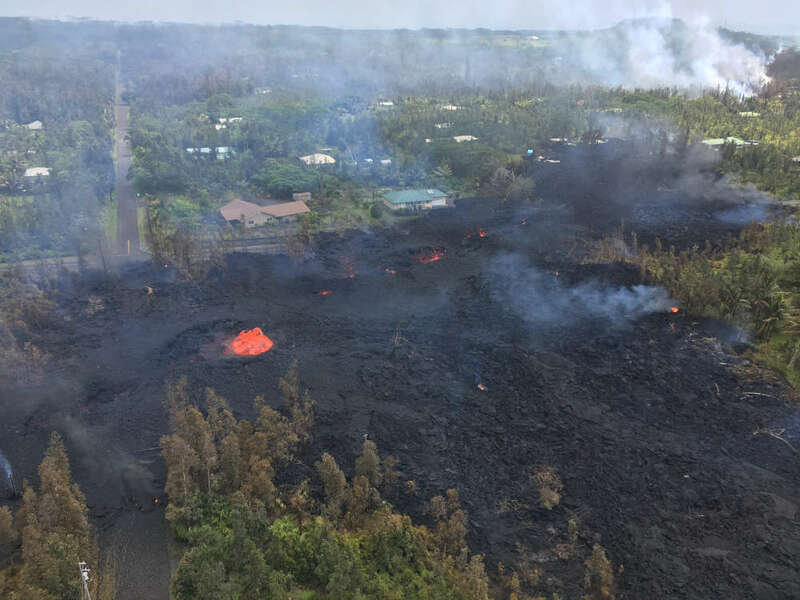 As if earthquakes and unpredictable jets of lava shooting from the ground were not enough for the residents of Hawai'i to contend with, they are also being warned about the sulfuric gas that is also pouring out of the vents. Of particular concern are the elderly and those with respiratory problems, although authorities are reportedly not letting anyone return to collect belongings if the levels are deemed too high. 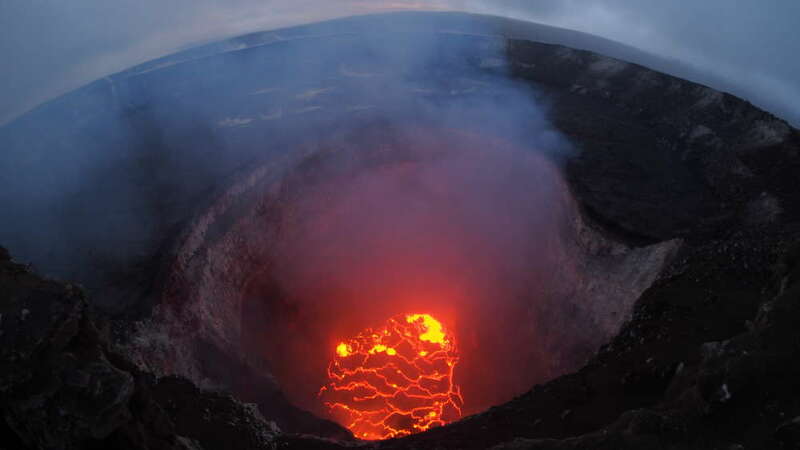 As Kīlauea vents through new fissures, researchers have been able to watch as the lava lake at the summit of the volcano has been dramatically dropping over the last few days. 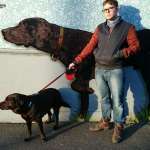 Geologists have been out in force, collecting samples and recording the latest eruptions, while many residents seem amazingly nonchalant about it all.